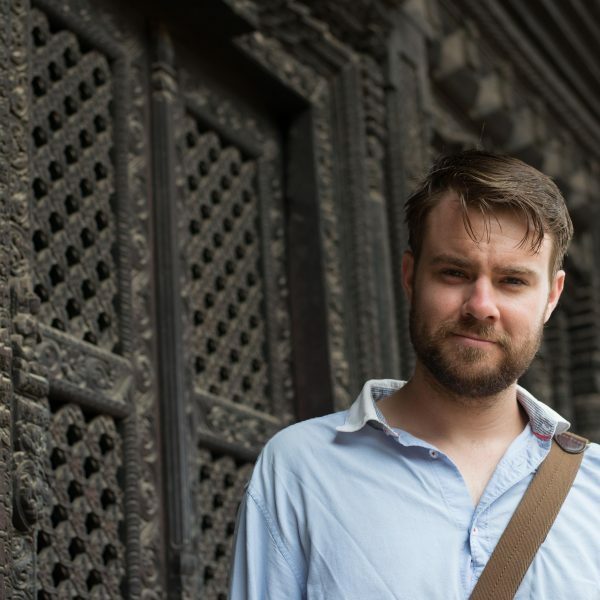 Ian Turner is a PhD student in the Department for the Study of Religion researching contemporary Newar Buddhism in its daily domestic iterations, as these pertain to gender, labour, and time. Ian is interested in both the social and architectural articulations of space in Newar homes. Particularly, he is looking at how widespread economic, political, and social changes in the Kathmandu Valley influence domestic structures and personal engagements with ethnic and religious traditions. Food has become a central concern in Ian’s work, Newar foodways being deeply imbeded in religious sensibilities and ritual practices. In Fall 2018, he organized an event with the support of the Ho Centre and the Culinaria Research Centre (UTSC) in collaboration with members of the Canadian Newa Guthi. Students and members of the public were taught about Newar food culture and festivals, and were given a demonstration on how to prepare certain dishes. Ian is currently receiving support from the Ho Centre to work with Canadian-Newar community partners in developing Newar language teaching materials.